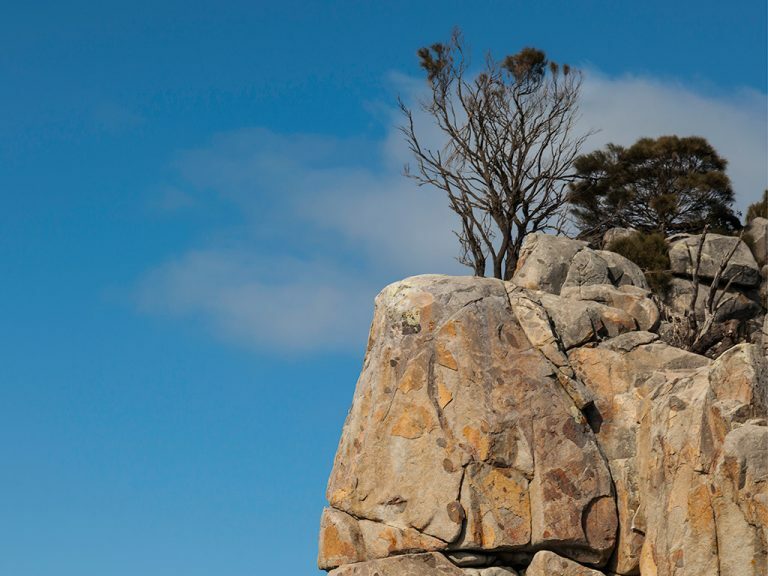 Near the Cape Tourville Lighthouse on the Freycinet Peninsula lies “Bluestone Bay” – a secluded bay of rounded blue granite boulders which contrast with the usual pink granite of the area. The heavily fractured granite cliffs near here are a popular destination for hikers and rock climbers. This boulder gazes thoughtfully into the distance across the clear, sparkling water of the Tasman Sea.